Courtesy of Pennsylvania Ballet II /"Jungle Book"
The Pennsylvania Ballet II will perform "The Jungle Book" at the Prince Theater. The Pennsylvania Ballet II will perform "The Jungle Book" on Sunday, Feb. 26 at the Prince Theater. The ballet is based on Rudyard Kipling's 1984 collection of stories, which is also the inspiration behind Disney's "The Jungle Book." 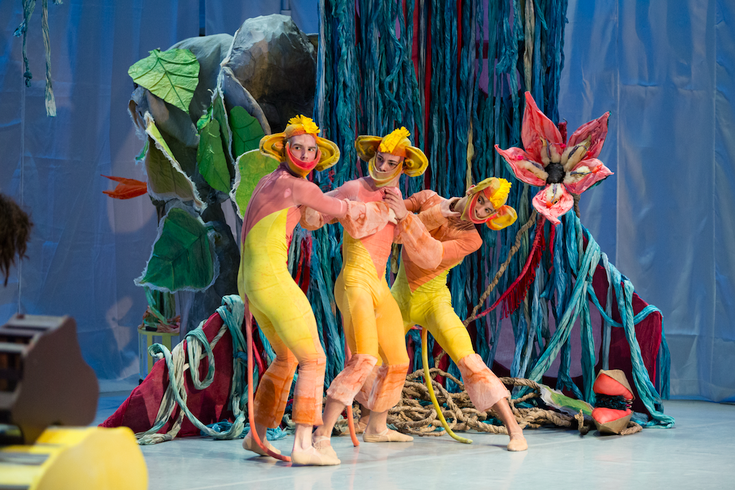 “This [original] performance serves as an opportunity for children to experience ballet first-hand, through a story they know and love,” stated Pennsylvania Ballet II's ballet master Eddy Tovar. The production was created for children in pre-school through fifth grade, especially. Musicians from The Curtis Institute of Music will perform an original score by John B. Hedges for the family-friendly production. "The Jungle Book" will also be sensory-friendly during a special performance on Saturday, Feb. 25 at 11 a.m. Individuals will be given space to move around, can make noise during the performance and will be provided cool down areas to decompress with assistance from trained professionals. Plus, the house lights will stay on.